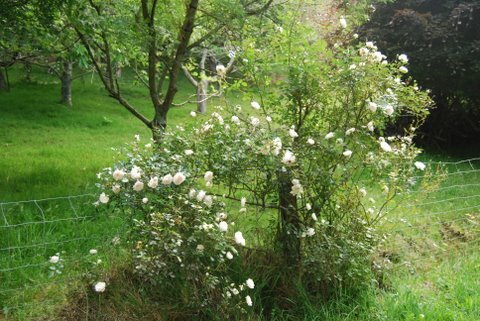 The rose bush (below) looked to be a wild mess when I first saw it, Mother Nature however has a great sense of order! 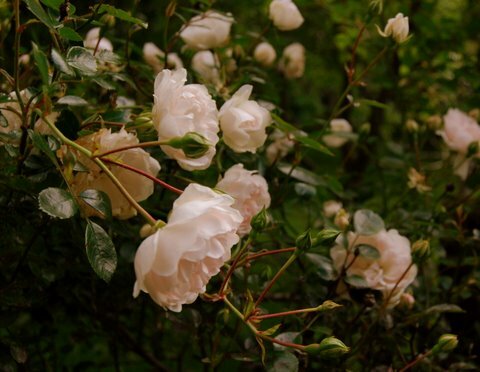 I love these roses, they smelt devine. Organic and sweet. Very country! I am enjoying these flora shots. Makes me long for spring in this hemisphere. the pink shade is delicate – nicely done, ms daisy.